As far as maternity wear goes, I've been doing a lot of mixing of regular clothes with actual maternity pieces. I started wearing maternity jeans very early on, like 11 or 12 weeks I think because they were just so much easier to get on & off and I hated the bump that the old hair-tie trick caused when I would wear tighter tops. Here are some of my favorites so far. This tribal-print cardigan from Pink Blush is so cute! And definitely something I can wear even when I'm not pregnant. As an added bonus, they had a one-day 70% off sale so I got this for $26 which you can't beat. Pink Blush's clothes are very good quality. These Ultimate Tee's from Target are the best. They're so stretchy and comfortable, perfect to accommodate a growing bump. Plus they usually have them 2 for $16 or 2 for $20 and they come in several colors. These skinny Mama maternity jeans from H&M, the only down side was I had to have them hemmed, about 2" because they were so long. I also really love Jessica Simpson maternity jeans too, they fit really well & aren't too expensive. 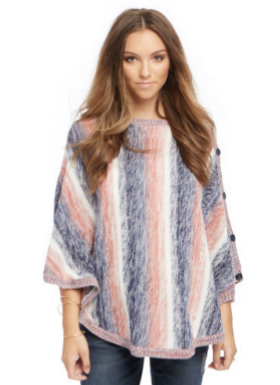 This maternity poncho from Motherhood Maternity. I love pieces like this because it can definitely be worn even if you're not pregnant. There really isn't anything "maternity" about it, it is made just as it would be as non-maternity. I got a ton of compliments on it when I wore it last. These Liz Lange maternity tanks. I don't know about you but I wear a tank/cami daily under everything just to smooth things out. My regular tanks still fit but are starting to get shorter & shorter as my belly gets bigger. These are the perfect length. What are some of your favorite maternity pieces?? Super cute :) I love it. I found sometimes I jut buy the next size up in regular clothes and they fit!! Love Liz Lange maternity tees, tanks, and long sleeve shirts and definitely love Pink Blush too! I have recently bought a couple of open ponchos and cardigans (non maternity) to pair with simple maternity tees. This way I can be comfortable and look cute but also have new clothes that I can wear post pregnancy too. Since you mentioned tanks you should totally check out the tanks at Grace and Lace. (Great story to how they got started is why I shop there). 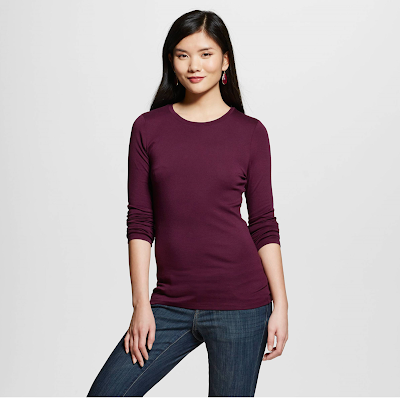 Any way they have tanks that are super soft and long so you could use them now and later. They are a little pricey for my taste but I got them anyway and LOVE them!! I've gotta do a pink blush order when it's time for spring clothes. Love that tribal print; it's so you! I always loved H&M for maternity stuff as well as Pink Blush, you just can't go wrong with their styles or prices!